Godzilla is one of those movies we will never see the end of. It has already been so implanted into the zeitgeist for more than half a century, so it's one of those films that will likely be renewed with each generation. 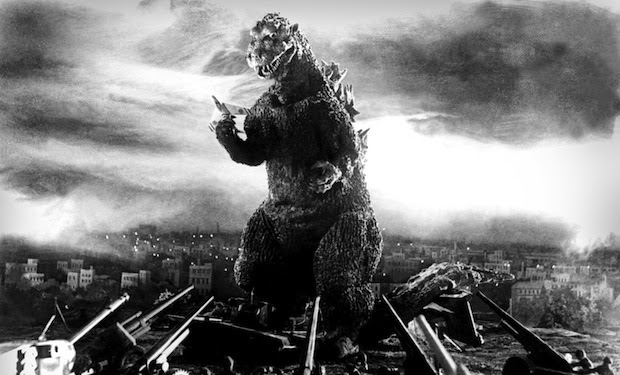 The risk of taking on the task of reinventing something as classic as Godzilla, is that there are so many different bars set by so many iterations that it's a difficult sell. I think Gareth Edwards and crew have pulled off something excellent with this version, though. 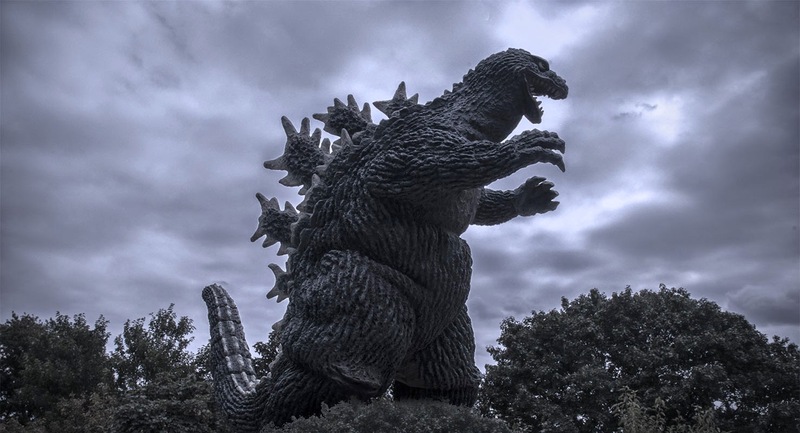 This version of Godzilla is set in modern times and picks up a sort of conspiratorial angle, suggesting that many known human events and natural disasters are actually heavily tied to the existence of an "ancient alpha-predator" that has returned to restore balance to the world. The part of this movie that has me the most surprised and excited actually has very little to do with the actual moviegoing experience, but is actually directly tied to the marketing. I'm not going to say the trailers were necessarily misleading or lying about the movie, but they did a phenomenal job of setting up the themes and tone of the film without spoiling it. There are multiple shots from the trailer that actually had alternate versions in the trailer, usually with alternate CGI. 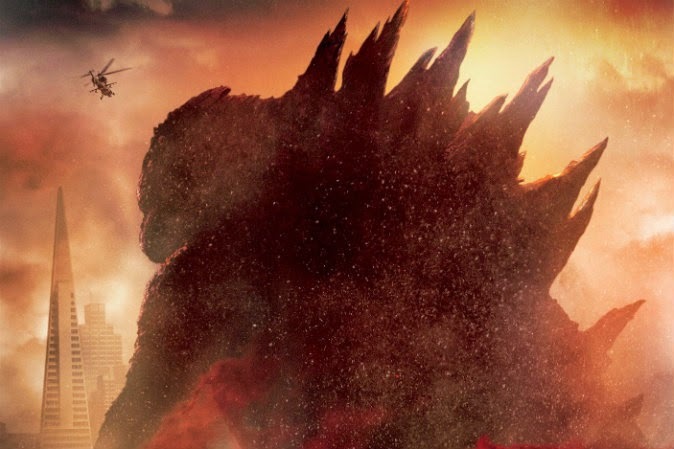 This alone had me super happy, because I realized before the movie was even 25% over that--even though I'd seen all the trailers and everyone knows Godzilla stories--I had no idea where this movie was going to take me. I'll save my full rant on how movie trailers have gotten out of hand for another day, but most trailers show the climax for a movie in the trailer. Godzilla sold me on the characters and the plot without spoiling the movie. Good job Godzilla. I'm not going to say much more to avoid getting into spoilers myself, but the cast for this movie was excellent. Despite the fact that most of the character interaction happens over the phone, or without communication at all, it still feels very intimate. Aaron Taylor Johnson does an excellent job while bearing the burden of carrying the majority of the plot forward, while Elizabeth Olson is also well placed. The two rarely share the screen, but you can definitely feel the pull the whole movie of their desire to be reunited. And Bryan Cranston... If you like Bryan Cranston, then I have nothing else to say. He really is responsible for selling the whole movie. The movie was very grand in scale, but for a monster movie it relied very little on special effects. If you are going to this movie anticipating a massive scale monster smash down, then you may be in the wrong place. I'm not saying there's not a monster smash down, I'm just saying that you might want to go watch Pacific Rim instead. This is a movie about people. It just so happens that Godzilla is also in it. Destroying things (so many things...). This is made very clear by a lot of the monster shots. The perspective is almost always kept on street level. Godzilla's massive size is shown not exclusively by long shots of him knocking over skyscrapers, but by tight shots from street level. If you see this film in IMAX, you will get a very good idea of what being in a city that is getting ravaged by Godzilla would be like. The movie did suffer from some pacing issues in my opinion. The first and third act were phenomenal, but the second act felt very slow. That may have been a creative decision though, because it feels very much like waiting for another shoe to drop, which it does. The third act give all the payoff you could ask for. This movie earns everything it does, which is getting rare these days. 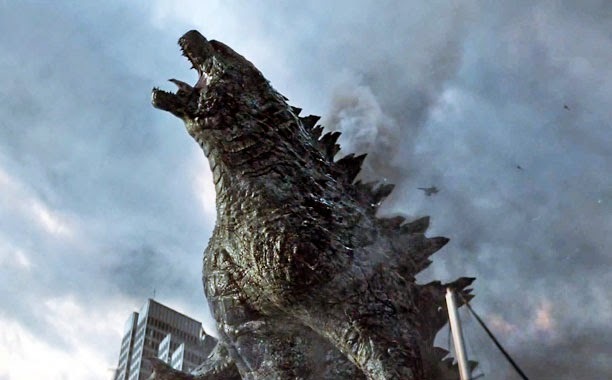 Gareth Edwards is phenomenal at setting everything up and then building this story brick by brick by brick, until Godzilla comes along and smashes everything (I don't know how well I can emphasize that he smashes everything any stronger). The score is also phenomenal. It's the same as what is in the trailer and it's a phenomenal translation of what the movie is like. It's a slow burn that builds and builds until Godzilla smashes everything (did I mention he smashes everything?). Go see this movie as soon as possible. First of all, you want to see it before anyone spoils it for you, but second of all, I'm going to tell you to see X-Men: Days of Future Past next week, so you've got to see this before it gets swept away in the summer movie schedule. Watch the non spoilery trailer below. The First Independence Day: Resurgence Trailer is Here!